Posted on 16, January 2019 by EuropaWire PR Editors | This entry was posted in Energy, Gas & Oil, Finland, France, Industrial, Technology, Transportation & Logistics and tagged Andrew Rayner, Christophe Seguinot, Corsica, digitalisation, Energy management, Eniram, ferry, fleet, La Méridionale, Marseille, Smart Marine vision, Wärtsilä. Bookmark the permalink. 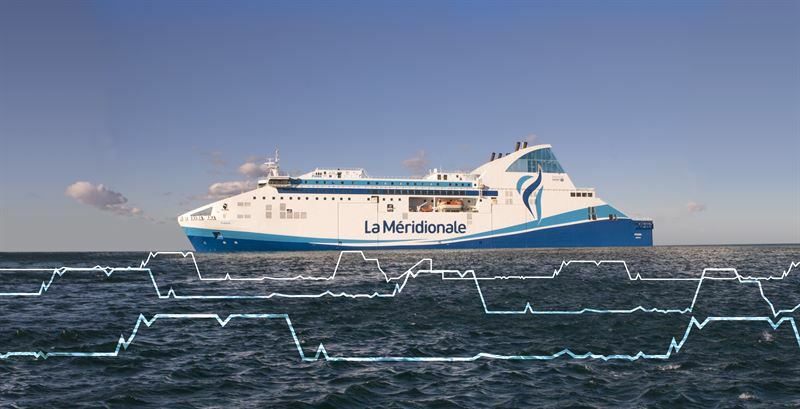 HELSINKI, 16-Jan-2019 — /EuropaWire/ — Eniram, a Wärtsilä company and French ferry operator La Méridionale, have taken notable steps on digitalising La Méridionale’s fleet with the help of the latest energy management technology. This partnership is in line with Wärtsilä’s Smart Marine vision, which through the extensive use of digitalisation, will enable the efficient use of resources with the least possible impact on the environment.